1) Take the 10" length of elasticity stretch cord and thread on the Tibetan bead. 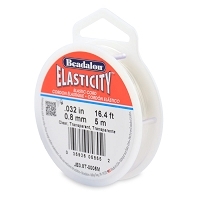 Slide this bead to the center of your cording. 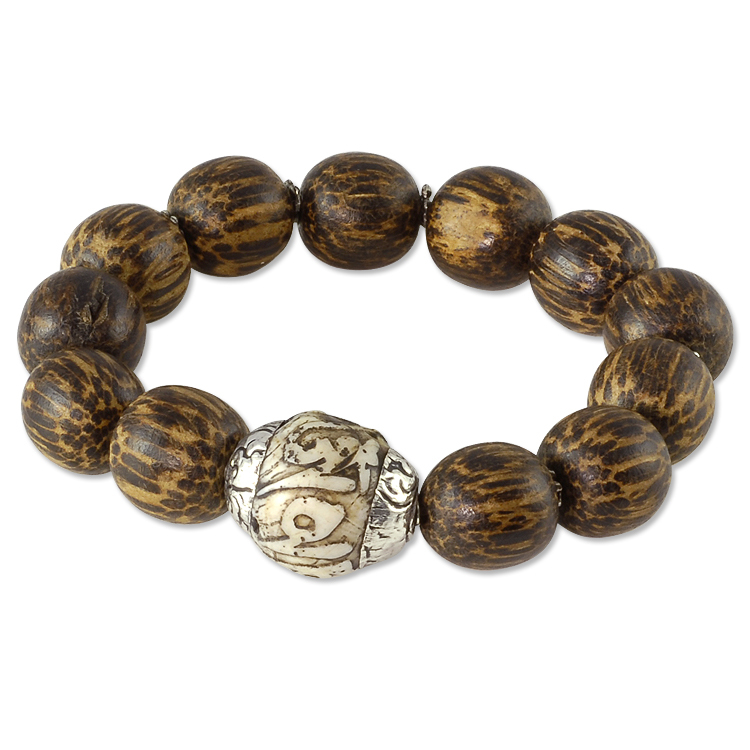 On one side of the Tibetan bead, thread on six wooden beads and six metal spacer beads - alternate between the two. On the other side of the Tibetan bead, thread on six wooden beads and the remaining five metal spacer beads - again alternating between the two. 2) Make a secure knot with the remaining elasticity cording - this can be a square knot, surgeon's knot, whichever you decide. Pull so that the knot tightens on itself, but don't overstress the cording or it will weaken it. Cut the cording tails off and done!